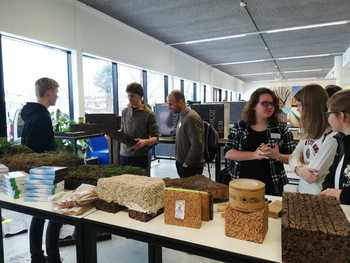 Excellencedag inspired 170 SLIMCircular students with workshops, training sessions and experimental labs The national Excellence Day was a party for students and teachers at various parallel workshops, training courses and experimental labs. 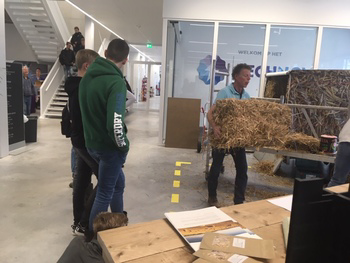 During the experiment labs students and teachers were allowed to work with straw, lime / hemp, cork / sedum, eco paint, clay plaster, residual materials of, among other things, wallpaper with which dividing walls can be coated and mycelium. A circular approach in the construction sector requires a different approach to dealing with materials than traditional construction: materials are suddenly not only intended for a destination, but are given multiple destinations over a much longer period of time. Increasingly circular construction is now being taken into account. 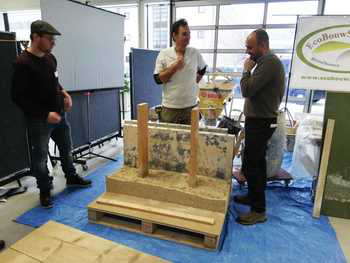 BAMB partner Lars Luscuere, EPEA, got deeper into this object in his workshop.